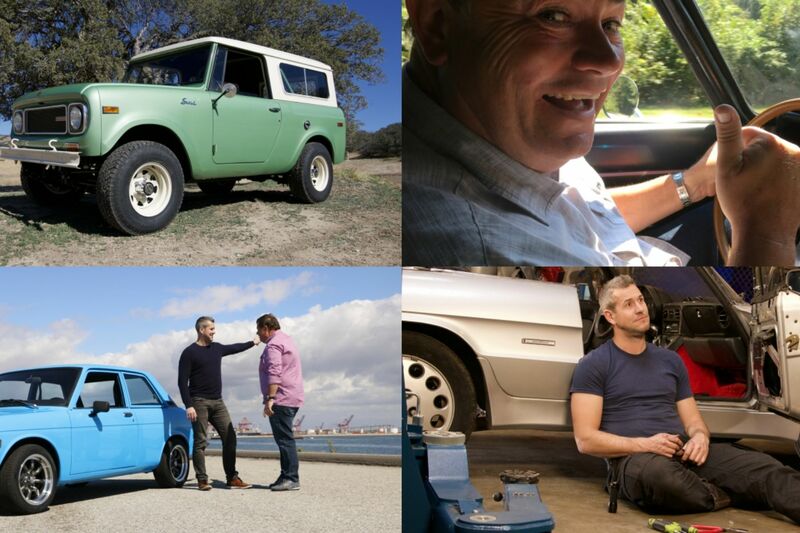 Wheeler Dealers has been a huge hit for the Discovery Channel, with the show having just completed its 15th series. 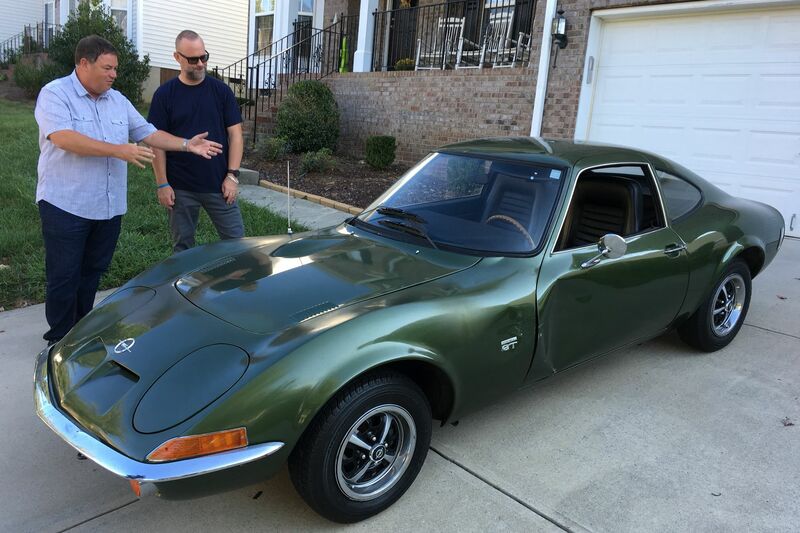 The concept is simple: car dealer Mike Brewer finds a used classic in need of some TLC to buy, and hands it over to his mechanic, Ant Anstead, to restore. Ultimately, with his wheeling and dealing skills, Brewer aims to make a profit come sale time. 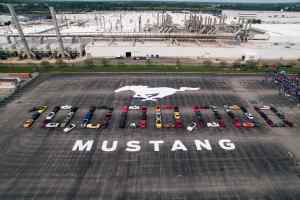 Based at a workshop in Huntington Beach, California, the most recent series’ have offered an array of cars that cater to the American market. We’ve ran through the episodes in the order Discovery Channel UK aired them, so let’s jump straight in. What better place to start than with what some consider the original luxury SUV. Beating the Range Rover to market by some seven years when launched in 1963, the Wagoneer mixed Jeep’s off-road knowledge with upmarket features. Offered in various forms until 1991, it was the third longest-produced car in North America. The later Grand Wagoneer, as featured on the show, was fully loaded with equipment. Electrically adjustable front seats, leather trim and a chrome grille were all part of the deal. As was the retro-tastic vinyl woodgrain exterior trim. 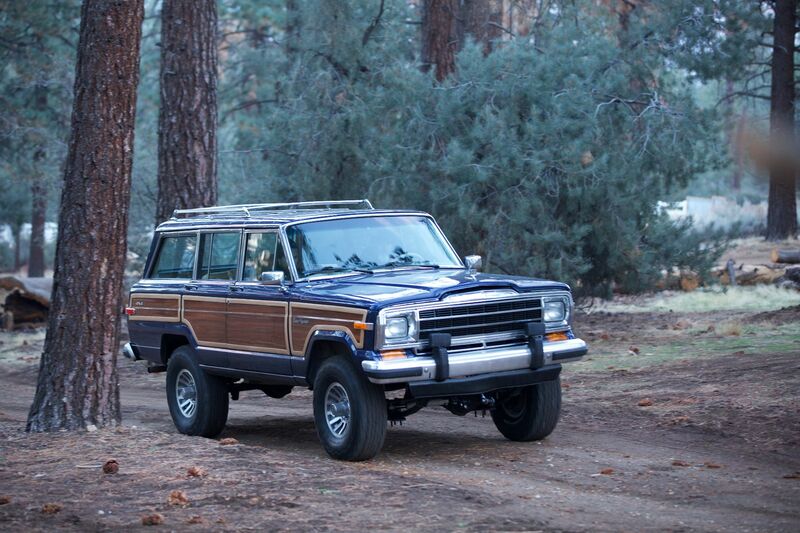 Powered by a 5.9-litre V8, the Grand Wagoneer that Mike set his sights on looked to be in a sorry state. Minus a rear window, and with the vinyl ‘wood’ damaged, the exterior would need work. Problems with the four-wheel-drive system were the only major mechanical concern. Although the air conditioning, power seats and electric windows still worked, the interior had certainly seen better days. Trim pieces falling apart at least helped Brewer establish that the Wagoneer was free from rust. With all the issues, a price of $4,500 (£3,000) secured the deal. Despite the low asking price, Brewer was unsure whether the Wagoneer would be a good investment. Ant Anstead was also unconvinced, especially after learning the interior and four-wheel-drive transfer box would need replacing. A full respray, upgraded suspension parts, and a new vacuum controller for the 4WD certainly helped. The vinyl woodgrain was replaced with hand painted patterns directly onto the body. Finally, the tatty interior was reupholstered. Being sold for $26,500 (£19,000), thanks to the demand for good Wagoneers, ensured a profit of $7,150 (£5,200). 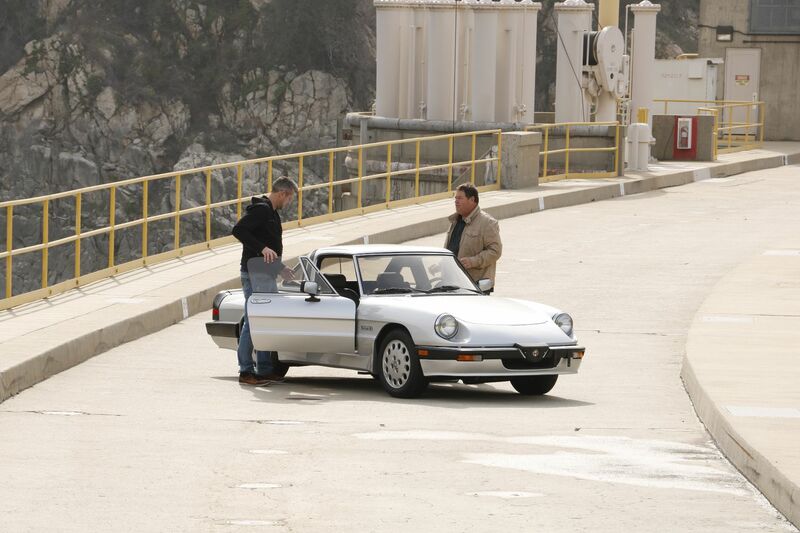 Spanning four generations between 1966 and 1994, the Alfa Romeo Spider sold more than 124,000 units. The USA was a particularly strong market, especially following the starring role of a Series 1 Spider in 1967 film The Graduate. An entry-level ‘Graduate’ trim even appeared during the 1980s. All Spiders used a front-engined, rear-wheel-drive layout, with a roadster body and seating for two. Engines were a variety of four-cylinder units, ranging from 1.3 to 2.0 litres in size. On the hunt for a Spider, Mike came across a special Quadrifoglio Verde model. Introduced in 1986, the ‘QV’ cars came with a painted hard-top, front and rear spoilers, and a standard 2.0-litre engine. The car found by Brewer had all of these, but a number of issues to sort. For $7,000 (£5,500), Mike inherited a silver Spider in need of work on the propshaft and differential. The air conditioning was also classically Italian in its temperament, but at least the bodywork was found to be surprisingly lacking in rust. It might have had a hard-top, but the fabric roof was also in need of replacement, and the driver’s side electric window needed to be fixed. To sort the sloppy power delivery, Ant Anstead fitted a new rear differential and refurbished the propshaft bearings. Fitting new parts to the air conditioning brought it back to life, while the whole car received attention to make it look like a classic Alfa Romeo should. Being in demand, Brewer was able to sell the Spider for his asking price of $10,000 (£7,150), making $1,600 (£1,150) in profit. Ask any car salesman and they’ll tell you that you should never let sentimentality get in the way of doing a deal. 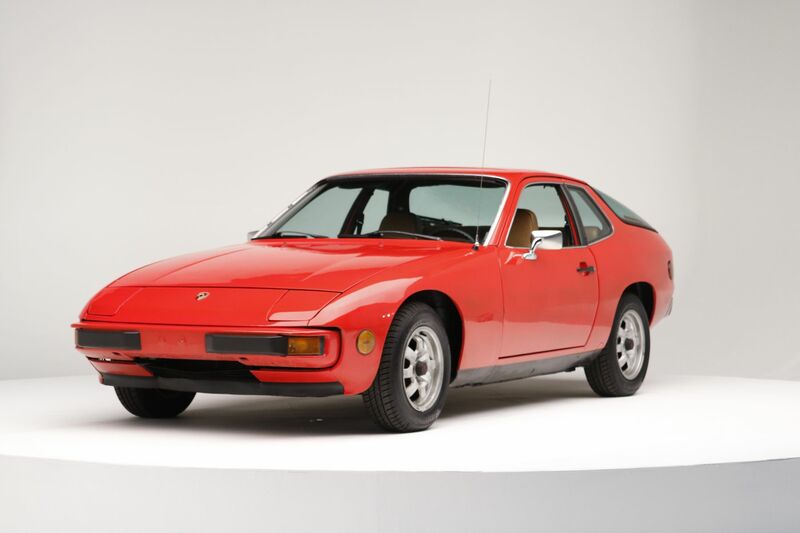 Yet, with this 1977 Porsche 924, Mike Brewer was certainly drawn in by rose-tinted memories. All the way back in October 2003 when Wheeler Dealers first appeared on our screens, it was a red Porsche 924 that Brewer first held out his hand to do a deal on. Purchased for just £700, Mike managed a £490 profit on that original 924. Fast forward to 2018, and the Wheeler Dealers team had a much bigger budget. Showing how much Porsche values have risen, this time around $3,700 (£2,500) was needed to buy a 924 in need of some attention. Often unfairly derided as a Porsche for the poor, some 121,000 924s were built between 1976 and 1985. The car here is a US-spec model, featuring a four-speed manual gearbox and a four-cylinder engine producing a ‘mighty’ 95hp. Compared to some of the cars that have entered the workshop, the efforts needed to get the 924 up to scratch were relatively limited. Fixing an oil leak did require the removal of the entire engine, while a new fuel pressure regulator sorted the rough idling. Ant was also tasked with updating the interior, and fitting a new short-shift gear linkage. An exterior polish made the car look showroom fresh, with final costs coming to $8,380 (£5,900). Sadly the intended buyer backed out of the deal at the last minute. Perhaps one of the more curious vehicles to emerge from the Opel back-catalogue, the GT was a front-engined, rear-wheel-drive sports car sold between 1968 and 1973. Power came from either a 1.1-litre four-cylinder engine with 67hp, or the preferable 1.9-litre with 102hp. Although 103,000 were produced, a Vauxhall-badged version was never made, but the GT did cross the Atlantic to the American market. Mike spotted this car for sale in Charlotte, North Carolina. Bought for the princely sum of $6,000 (£4,200), the green GT was most notable for the serious dent in the driver’s door panel. Used by Brewer to haggle down the price, he also broke the manually-operated pop-up headlights while on the test drive. Thankfully for Mr Anstead, Mike decided to have the damaged door skin professionally repaired. This left Ant with minor damage to the wing to fix with a slide hammer and brute force. A new fuel filter solved the engine issues, with a new water pump also fitted. With the delicate headlight mechanism also repaired, a full body respray was on the cards. The rear panel was finished in black to bring some ‘European style’ to the Opel GT. A final selling price of $13,500 (£9,700) saw Brewer walk away with $3,650 (£2,700) in profit. Luuuverly! What could be a better used purchase than a Rover P6 3500 V8? Apparently it’s a 1972 Lancia Fulvia, bought after the aforementioned Rover was too far gone for even the skills of Ant Anstead to resurrect. We’ll gloss over the weirdness of a Rover P6 still surviving in America, and deal with the $9,500 (£7,000) paid to a California collector for the little Fulvia. Noises from the drivetrain and heater controls that did nothing were the main issues to fix. Built between 1963 and 1976, the Fulvia was one of the first Lancia models to feature front-wheel drive. All were powered by a variety of V4 engines, and offered in saloon, coupe, and fastback body styles. The Fulvia was also a genuine rally-proven machine, helping Lancia win the 1972 International Championship for Manufacturers, the precursor to the modern WRC. Multiple other victories came in the Italian Rally Championship, too. With all that rallying pedigree behind it, Ant and Mike opting for a competition-inspired theme for the Fulvia was no surprise. Gold wheels were matched with big foglamps and a widened satin black bonnet. A new wooden dashboard, crafted by hand, added extra Italian flair. Rebuilt driveshafts, a new heater matrix, and replacement oil seals for the gearbox brought the Fulvia back to full health. All the time and money was well spent, with a final selling price of $33,000 (£25,500) after some haggling. This left a tidy profit of $18,195 (£15,700) after all the work was accounted for. 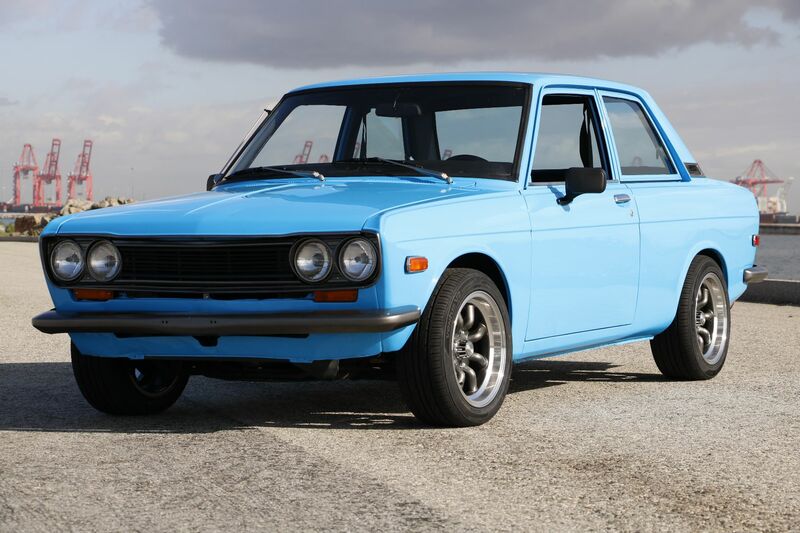 With rear-wheel drive and a variety of body styles, the Datsun 510 proved hugely popular when new. Sold between 1968 and 1973, US buyers were offered a 1.6-litre four-cylinder engine with a four-speed manual gearbox. The 510 became famous in the United States for being used in the Trans Am sports car series. It actually took glory in the 1972 championship for cars under 2.5 litres, beating Alfa Romeo and Toyota. That success was the inspiration for the rough-and-ready paintwork on this 510. Bought from a collector with an obsession for Datsun 510s, $5,000 (£3,500) was enough to secure a car with numerous bodywork issues. Fortunately the seller included replacement parts to fix the damaged panels, whilst the overall mechanical condition was noted to be good. In fact, beyond a tatty interior that had been stripped in places for motorsport use, only the dodgy exterior would require major attention from Ant Anstead. Despite having replacement panels, Ant would need to put in some serious effort to fix the damaged front and rear wings. Cutting, welding, and filling brought the panels back to life, whilst a full respray ditched the dodgy red for a distinctive blue colour. Interior dials were repaired and updated, whilst Ant also fitted a five-speed gearbox, new 15-inch wheels, and rewired the tail lights for fancy LED units. Selling the car for $20,000 (£15,000) netted a happy Mike Brewer a profit of $8,070 (£6,200) after expenses were deducted. The newest car to feature on this series of Wheeler Dealers, it feels strange to consider the original ‘new’ Mini as falling into the realms of being a classic. Yet the earliest examples are now 18 years old. Sentimentality crept in again, as Mike announced the 1964 Mini Cooper S (as used to win the Monte Carlo Rally) was his favourite car ever. Cue the hunt for the modern recreation. Launched in 2004, the MC40 was the first US-market special edition of the modern Mini, built to celebrate that historic 1964 rally win. Just 1,000 examples of the MC40 were made, powered by a 1.6-litre supercharged engine and wearing special rally-inspired decals. The car eventually bought by Brewer for $5,300 (£4,100) had lost its stickers over the years, was on lowered suspension and had a sagging headlining. Most significant was the 95,000 miles on the clock, meaning a substantial 100k service was due soon. In fact, the major 100,000 mile service would cover most of the work done. Sensors, spark plugs, and belts were replaced, while the supercharger was also given some attention. The lowered suspension was put back to standard, as were the headlights. Mike tracked down a company who could recreate the distinctive MC40 decals, restoring the collectability of the Mini. It worked, as Brewer was able to flog the car to a serial Mini owner, who wanted a cheaper model for his daughter. Doing a little deal left a profit of just $1,110 (£925) after costs and expenses. Blame it on those hipsters and their love for anything retro. 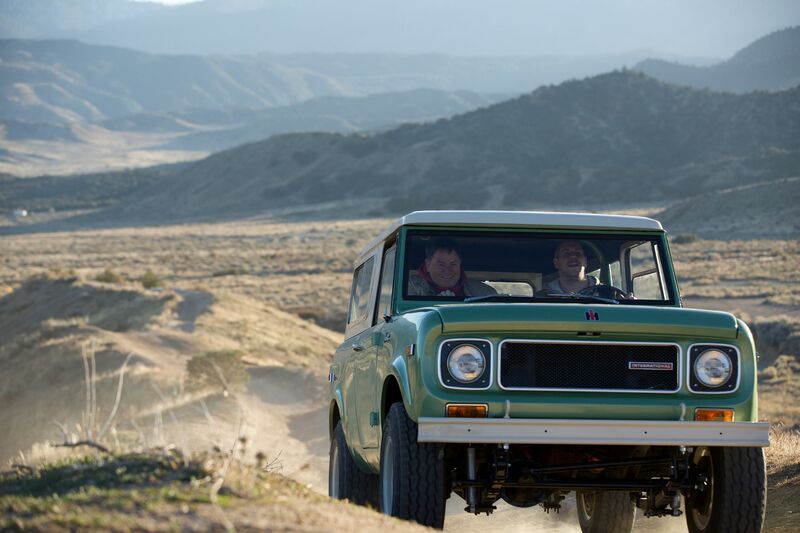 Mike Brewer was on the hunt for another early SUV, and the International Harvester Scout is an ‘on trend’ choice. A producer of agricultural and utility vehicles, the International Harvester brand disappeared during the 1980s. Designed as a rival for the Willys Jeep, the Scout featured standard four-wheel drive on most models, along with a removable roof. Engines ranged from four-cylinder petrol units through to sizeable V8s. The engine powering the Scout bought by Mike Brewer was the 3.2-litre four-cylinder model, with the car having been used by the military in the past. Bought for $8,000 (£6,000), the Scout came as standard with wayward power steering and an interior best described as ‘rustic’. The vacuum-powered windscreen wipers were only half-working, and the tailgate made a symphony of squeaks. On top of fixing all the issues found on the test-drive, Ant Anstead was also tasked with replacing the leaky transfer case for the four-wheel-drive system. A full respray to Heritage Green was meant to pay homage to the military history of the Scout, while new power steering and windscreen wipers made it safe to drive again. New seats, wheels and tyres pushed the expenditure up, but the coolness of the Scout helped Brewer secure a quick sale. Refusing to budge from the $22,500 (£16,000) asking price meant ending the series with a healthy profit of $6,700 (£4,500).